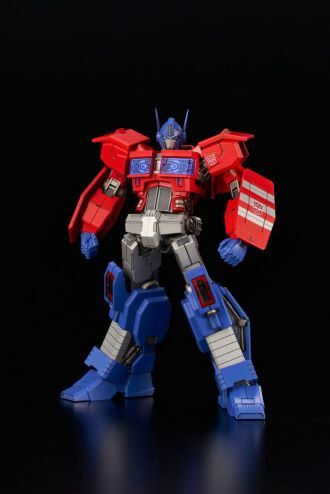 From Flame Toys Furai Model series comes this officially licensed model kit of Optimus Prime. It stands approx. 16 cm tall (assembled) and comes with accessories and interchangeable parts in a printed box. - 3rd series of [FURAI MODEL] Optimus Prime (IDW ver.) is presented! Size from bottom to top head is ~160mm. - This is an modernized and shape optimized Optimus Prime (IDW ver. ).